This review was supported in part by the National Institute of Alcohol Abuse and Alcoholism through HHSN275201000003C, R01 AA015248, ARRA Administrative Supplement to R01 AA015248, K02 AA00325, and K01 AA017473. Amlung, M., Sweet, L. H., Acker, J., Brown, C. L., & Mackillop, J. (2012). Dissociable brain signatures of choice conflict and immediate reward preferences in alcohol use disorders. Addiction Biology. doi: 10.1111/adb.12017. Bava, S., Jacobus, J., Thayer, R. E., & Tapert, S. F. (2012). Longitudinal changes in white matter integrity among adolescent substance users. Alcoholism, Clinical and Experimental Research. doi: 10.1111/j.1530-0277.2012.01920.x. Camchong, J., Stenger, A., & Fein, G. (2012). Resting-state synchrony in long-term abstinent alcoholics. Alcoholism, Clinical and Experimental Research. doi: 10.1111/j.1530-0277.2012.01859.x. Fein, G., & Greenstein, D. (2012). Gait and balance deficits in chronic alcoholics: No improvement from 10 weeks through 1 year abstinence. Alcoholism, Clinical and Experimental Research. doi: 10.1111/j.1530-0277.2012.01851.x. Levine, B., Schweizer, T. A., O’Connor, C., Turner, G., Gillingham, S., Stuss, D. T., et al. (2011). Rehabilitation of executive functioning in patients with frontal lobe brain damage with goal management training. [Article]. Frontiers in Human Neuroscience, 5. doi: 10.3389/fnhum.2011.00009. Mon, A., Durazzo, T. C., Gazdzinski, S., Hutchison, K. E., Pennington, D., & Meyerhoff, D. J. (2012). Brain-derived neurotrophic factor genotype is associated with brain gray and white matter tissue volumes recovery in abstinent alcohol-dependent individuals. Genes, Brain, and Behavior. doi: 10.1111/j.1601-183X.2012.00854.x. Monnig, M. A., Tonigan, J. S., Yeo, R. A., Thoma, R. J., & McCrady, B. S. (2012). White matter volume in alcohol use disorders: A meta-analysis. Addiction Biology. doi: 10.1111/j.1369-1600.2012.00441.x. Stavro, K., Pelletier, J., & Potvin, S. (2012). 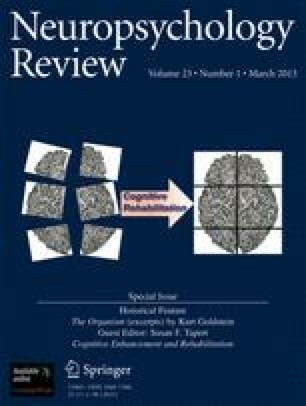 Widespread and sustained cognitive deficits in alcoholism: A meta-analysis. Addiction Biology. doi: 10.1111/j.1369-1600.2011.00418.x.